Chris Hall is Senior Underwriter for Liberty Specialty Markets, focusing on short-term trade credit insurance. Chris is based in London and joined Liberty in January 2018 to lead the Toredo initiative. His previous role was as Head of Trade Asset Management (TAM) for Lloyds Bank’s Global Transaction Banking, responsible for the development of the secondary market trade finance offering, while before this, he spent 9 years at the Royal Bank of Scotland. Chris has 12 years of transaction banking experience, through sales of trade finance and international cash management solutions to corporates in London and the South East, followed by working in Trade Distribution, dealing mainly with Financial Institutions. He has also worked as Business Manager to a senior Change Management executive. 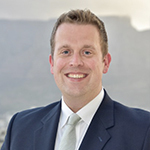 Chris holds a LLB in Law from the University of Bristol and has attained Associate Membership of the Corporation of Treasurers (AMCT). Chris can also be contacted on chris.hall@itfa.org.